Going blonde must be in for March. Rihanna just went blonde for Harper’s Bazaar and now Girls actress Allison Williams tries on platinum hair for her Allure cover shoot. According to our forums, the beauty bible has been treading on thin ice the past few months with a series of disappointing covers, and it seems there’s a new one to add to the list. Allison was willing to sacrifice her gorgeous brunette locks for the magazine’s March 2017 cover — but the outcome was hardly worth the effort. Captured by Jason Kibbler, at least Allison gives good face in the portrait image. Safe to say our forum members definitely won’t be hurrying to the newsstand. “Saw this on Michelle Lee’s Instagram earlier and couldn’t believe it. Looks more like an art piece than it does a photograph. What a horrible cover image. Yuk!” vogue28 exclaimed. “Is this a photograph or a drawing?” asked a dumbfounded serendipity8777. “It has to be a drawing!” replied a horrified YourMonster. “It’s atrocious and ugly! This reminds me of The White Haired Witch, a Chinese film which starred Fan Bingbing. Anyway, this platinum does not suit her at all. I feel like Allison knows this, which is why she posted her ACTUAL color shortly after she posted the cover on her IG! 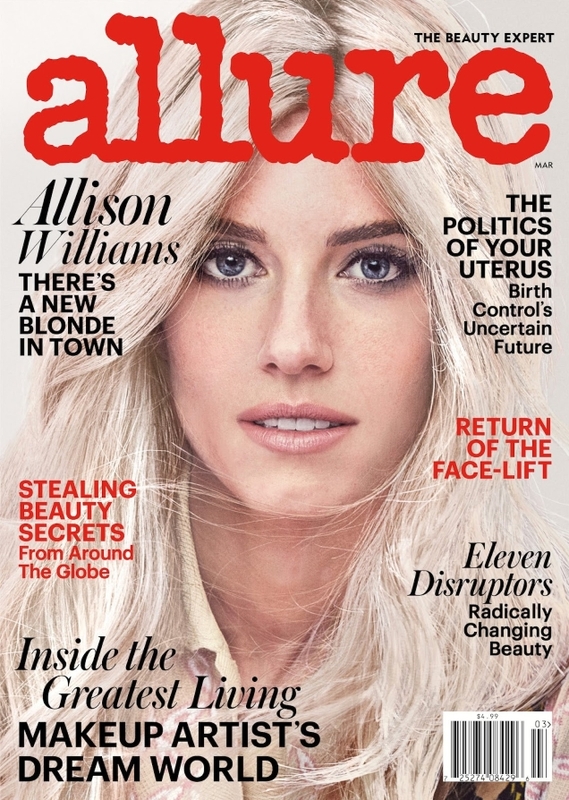 Or maybe she just got fed up with all the nasty comments this Allure cover got from her followers! So, a missed opportunity for Allure!” shared a disapproving Benn98. “Looks like the cover of a young adult novel from the 80s,” described A.D.C. “She looks ready to be featured on a hair color package. It’s disastrous,” added dodencebt. Are you an admirer? See more from Allison’s cover shoot and join the conversation here.